You’ve probably been hearing a lot about blockchain. It comes up anytime people are discussing new ways of automating processes without any centralized server or authority. So, what is blockchain exactly? Consider this your ‘Blockchain for Dummies’ primer. Before we get into the details of this technology, first let’s define blockchain. Blockchain, explained plainly, is a medium of investing – and a very reliable one – that allows people to exchange values or data without the need for a trusted central authority. Blockchain can be described as a digital blockchain ledger where transactions are recorded as they’re made, and a copy of the ledger is sent to everyone on the blockchain. It is sometimes referred to as ‘distributed ledger.’ The currency used in this type of transaction is called cryptocurrency, which is a digital currency that is generated, signed and regulated using digital encryption techniques. Then what is blockchain technology? In a simple explanation, blockchain technology is like having a bank account at a bank where millions of others have an account too. Every time the money in any account is used for transaction, all the account holders in that same bank get an alert, so everyone knows the amount in each account, but doesn’t know whose account it is. Blockchain is not only used in business and banking, but various other industries as well. This article gives a wide view of what blockchain is all about, kind of like a blockchain tutorial; blockchain technology is explained, as well as blockchain development, a blockchain stock guide, blockchain types and popular blockchain networks, its real-life applications and use cases, and so on. Blockchain technology is one of the best innovations after the inception of the internet. Blockchain works by entrusting a certain value or data to a logic program running on multiple systems (called nodes) worldwide. The value is then transferred to the receiver if the condition for sending the value is true, or it goes back to the sender if the condition is false. Once the contract has been agreed upon by both parties and the sender sends the value to the trusted program, the transaction cannot be interrupted. The value hangs in-between until the logic proves to be true or false. This transaction is called block – and each time a block is added to the chain, everyone on the chain gets notified, and everyone knows that this account is currently transacting with that account. In essence, this eliminates fraudulent activity. Here’s a more elaborate example: There are five nodes on a blockchain network, nodes A – E. Node A (sender) decides to send 20 units of a digital currency (cryptocurrency) to Node C (receiver) if a football club wins an upcoming match (condition). Node A writes a quick command for this, and adds it to the network. Each node in the network receives this broadcast, confirms the validity of the transaction, approves it, and then updates its own copy of the transaction record, including Node C. Node C accepts the condition, and the transaction is set in motion. It is impossible for any of the nodes to alter its own copy of the record, because it must tally with other nodes’ records. After validating that all nodes’ records match, an AI program then decides where the currency goes based on the outcome of the condition (the football club winning or losing). Every step of the transaction is broadcasted to all nodes, so the transaction is transparent for every node to see. You must be wondering why we have been discussing only digital currency – and how you get the cryptocurrency in the first place. You either earn it (called ‘mining’) or purchase it with cash. Earning means you’ve sold a service or product and got paid in cryptocurrency. Purchasing means you pay a cash equivalent to exchange companies, and they convert it to cryptocurrency for you. When you have enough cryptocurrency for withdrawal, you can convert it back to its equivalent in cash and have it sent directly to your bank account. So, what is blockchain used for? Simply put, for any type of transaction it eradicates the foreign exchange rate, making cryptocurrency a universal currency as it is the same rate everywhere in the world. In public blockchains, anyone can participate, without permission. Anyone can download the blockchain code and start running it on their local device, thus becoming a node and validating transactions and consensus processes within the blockchain network. Anyone can send transactions via this network, and also see all transaction being carried out in this network. It’s like everyone has read-write permission to the data on the Blockchain network. Examples of popular blockchain networks that run public blockchain are Bitcoin, Dodgecoin, Litecoin, Ethereum, Dash, and Monero. Private blockchains are run within an organization. Each unit of that organization has the ‘write’ permission on their individual node, and every node on the network is notified and must verify each and every transaction on the network. But the ‘read’ permission may be given to the public, or restricted to some extent. Private blockchains are used for auditing, database management, and so on. These blockchains are only editable by the owners, but available for the public view. This reduces the risk of security breaches, and is also very useful when it comes to scalability and regulatory issues. Examples of private blockchains are Multichain and MONAX. Consortium blockchains are run under group monitoring. Unlike public blockchains, not everyone has permission to verify transactions. Consortium blockchains are common in the banking sector. The consensus process is controlled by a pre-selected set of nodes; for example, a selected 10 out of 15 nodes must verify each transaction before it becomes valid. Examples are B3i run by Insurance companies, EWF run by Energy, R3 run by banks, etc. Bitcoin is a form of digital currency (electronic coin). It is a decentralized currency that can be sent and received using a peer-to-peer network. Transactions are verified by participating nodes through cryptography, so there is no need for intermediaries. Bitcoin was invented as open source software in 2009 by an unknown person or group using the alias Satoshi Nakamoto. Initially, it was used as a reward for services (also called mining) – you get a certain amount of Bitcoin when you perform an online task, and the amount goes in your Bitcoin wallet. You can also use it to purchase another service or product, or exchange it for cash. It’s estimated that 5.8 million people use a cryptocurrency wallet, and over 80% of those wallets are Bitcoin wallet. Bitcoin wallet is secured against unauthorized access, and you have full control to send, receive, buy, sell, or exchange your coins. It’s supported by over 20 languages on various device platforms including iOS, Android, desktop, and web. Bitcoin stock refers to its value in real currency, how it is bought and sold, at what rate, and who buys or sells it. Your wallet serves as online storage that holds all your cryptocurrency and your unique key (a unique identifier for each Bitcoin owner that contains strings of numbers that secure your Bitcoin account). The first step is to download your wallet and connect your debit/credit card to it. There are several wallets you can download for Bitcoin, such as Bitcoin Core, Coinbase, Arcbit, Armory, Bither, and Electrum. Try to find an exchange that also supplies Bitcoin wallet, so you won’t be submitting your bank information to two separate services. Once you’ve successfully registered, navigate to the ‘Buy’ section. Enter the value of Bitcoin you want to purchase and its equivalent in your local currency will be displayed. When you make the purchase, the amount is deducted from the connected card. Currently, one Bitcoin equals USD $6,407.89. Don’t panic – you can buy a fraction of one Bitcoin! As soon as you have Bitcoin in your wallet, you can start transacting with other Bitcoin account holders, or you could allow its value to grow and cash it out later. Ethereum is similar to Bitcoin, in that it also runs on blockchain principles. But what is Ethereum? It’s an application that runs exactly as programmed without any interference whatsoever. Ethereum enables developers to create markets, move funds (according to instructions and conditions), and store/share registries of debts or promises. Ethereum was developed as open source software in 2014 by the Ethereum Foundation (a Swiss-based non-profit organization) and has been supported by great minds around the world. Like normal casinos, blockchain or Bitcoin casinos allow staking with cryptocurrency and getting winnings in the same currency. 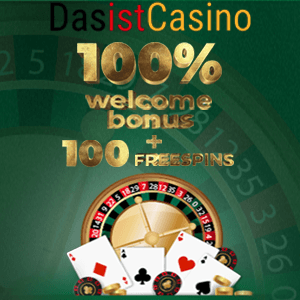 An example is https://casinosblockchain.io. All you have to do in such casinos is register with your wallet ID and start placing bets. Maybe you have an amazing idea, but you don’t have enough funds to implement it. Blockchain crowdfunding is a good way to kickstart your project. You can create a contract that holds contributors’ money until a specific goal or date is reached, and then the money is released to the project owner or returned back to contributors, depending on the stated condition. You can also use blockchain to distribute rewards to contributors. Examples are Chainium, Tokenomy, and Starbase. There are several ways blockchain can be applied to improve the healthcare system. Its decentralized data integrity can be useful in verifying and updating patient records, insurance coverage, claims and adjudication, and many other medical-related records. Registering and transferring property rights can be done effectively through blockchain. Not only tangible assets (such as land, house, car etc.) can be transferred over blockchain, but intangible assets such as documents can also be transferred. The documents are stored in immutable blockchain, and the blockchain command is executed. Brooklyn Microgrid is a good example of how a company uses smart meters to track energy generation and consumption. A smart contract exists between the users and the grid. When you consume a certain amount of energy, the payment is deducted without any interference, and you can’t alter the data sent to the blockchain. 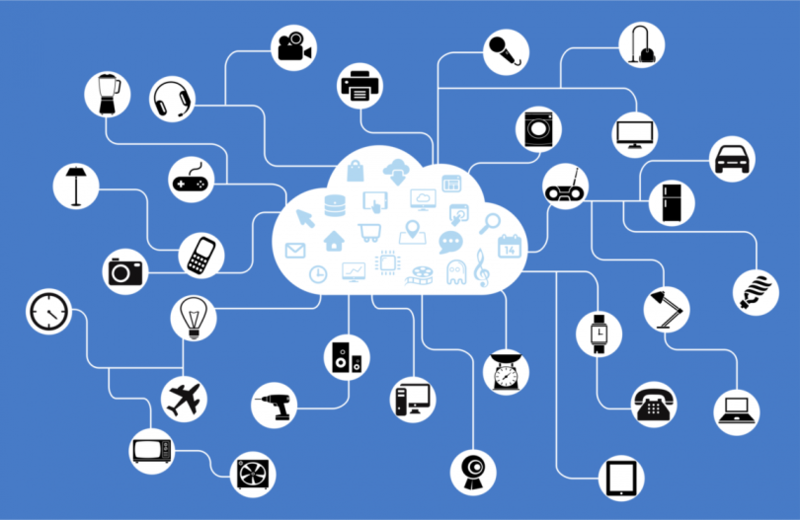 IoT is what gives every internet-enabled device the ability to send and receive data, thus enabling various devices on different platforms to communicate. Each device must pass through the identification and authentication process before data is transacted. Authentication that’s based on certificates from authorities is too expensive, so companies like Factom Iris™ make the best use of blockchain technology by registering their devices on the blockchain, where a digital identity that cannot be compromised is assigned to each device. Another advantage of this is that all information on each device can be dynamically updated and verified. In the 3D printing business, a designer can register their product design on the blockchain. The product design is encrypted to prevent plagiarism, and the blockchain evaluates the design and its price for printing. Next, the blockchain finds the nearest and cheapest 3D printer (who has also registered on the blockchain) to award the contract. The design is then printed and delivered – all without an intermediary. The importance of blockchain technology in every industry today is undisputed, and there are still more innovations to come via blockchain. If someone asks you, “What is blockchain?” simply tell them it is the technology of the future – so join this moving train and participate!